This entry was posted in Belize, Belize Culture, Ex Pats in Belize, Uncategorized. Bookmark the permalink. Hang in there you guys!…Would love to see you again one of these days…I’ll never forget Belize, mostly because of you guys!!!…. I tried you this morning and left a voice mail. Call me any time Tony. My wife Rebecca and I extend our condolences to you & Jacquelyn and your entire extended families. Your blog posts have been an entertainment and informative. I left Burrell Boom, Belize in 1972 and lived on Grand Cayman. 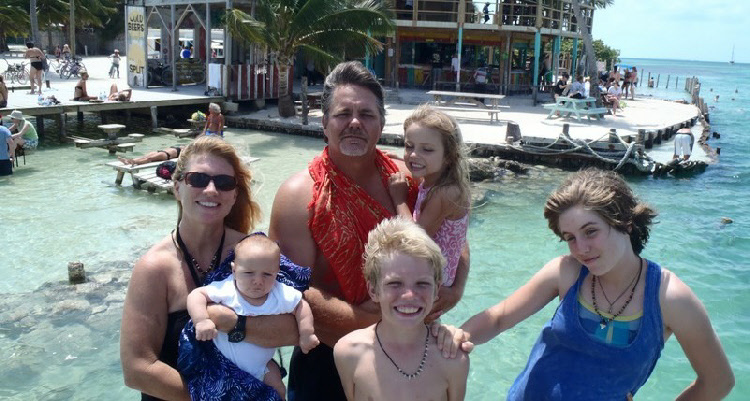 Rebecca is from outside Philadelphia,PA, but we are planning to move to Belize early next year. We have an RV we are planning to drive down. I have looked at several of the properties in your listing, but we have not made the final decision yet, although we are both retired, simply because we ended up moving between Orlando & Ft. Lauderdale, helping to raise our grand kids. Rebecca wants to live on one of the less crowded cayes, I have no preferences, except maybe somewhere between Riversdale & Middlesex. That way I can do some personal farming (hydroponics preferably), and yet have easy access to the sea. we are both on Facebook. Sorry for you loss and I’m glad you have each other through each turn in the road ! I left a career, sold my condo and moved out of Washington D.C. to Utah to spend the last few years with my parents before they both died within a year of each other. You did the right thing….everything is temporary anyway, (“this too shall pass”?) which is comforting during periods of struggling. That thought also encourages me to grab a hold and enjoy the precious moments as well. Belize has been my “gotta get there” place for over 11 years! I’ve gotta make that happen soon. Praise The Lord. He is not done. What ever happened to DrIve Goddess’s stuff? Not sure. Last I recall she was in Central America somewhere, Guatemala or Mexico. Bless you and all your loved ones. May GOD lift up your peoples hearts and their strength. May you and your loved ones know peace in their hearts, mind, and soul through your leadership. May the LORD increase your Wisdom. Knowledge, and Understanding for their guidance. Blessed be the name of the LORD.